It was not uncommon for Seven Linford to return home from school with a black eye during his younger years. Each time he stepped through the door his parents would ask what had happened. He would always provide an answer – even if the story was a tad far-fetched. By the time he reached his sophomore year of high school, he was running out of excuses – or at least plausible ones someone in his family might actually buy – and they were running out of patience. The truth is, almost every shiner, every scrape, every questionable bruise growing up could be contributed to one factor. “I had this need to fight everybody,” Linford said. He couldn’t supply a reason for such behavior. It’s just how it was. Blame teen angst, credit it to a constant need to roughhouse, but whatever it was, the feeling was perpetually present during his teens. “I just grew up wanting to fight everyone for no reason,” Linford said. There was one individual, however, Linford never had the desire to engage in fisticuffs with and that was Jake Sebastian. The two had been best friends since meeting as seventh graders at Chinook Middle School. “We have been family ever since,” Linford added. Linford’s actual family had grown concerned about his activities and began aggressively trying to sway him from his destructive hobby. “My parents were always pushing me to find an outlet where I could fight and not get into any trouble,” said Linford, who was a member of the wrestling team in middle school and high school with Sebastian. 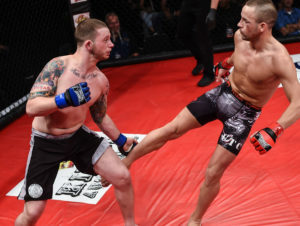 The answer that made the most sense turned out to be mixed martial arts (MMA). 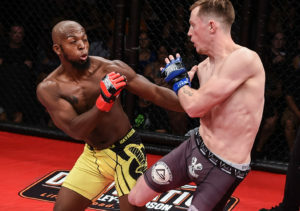 While Linford, who along with Sebastian, graduated from North Thurston High School in 2012, entered the sport almost out of a necessity, it was around that same time Sebastian was becoming involved in MMA as well, first being introduced to the sport by his wrestling coach and later participating in a series of open practices at local gyms. It was what both were looking for. Now the two self-described “scrappy” kids had a reason to fight. Almost a decade later, they’ve turned it into careers. Linford and Sebastian are now professional MMA fighters, both leaving the amateur ranks and turning pro earlier this year. 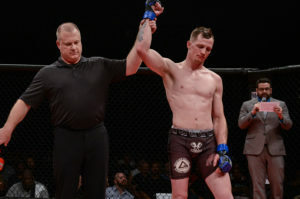 Fittingly, the two long-time friends each notched their first career victory on the same day as both fought on the July 21 CageSport card at the Emerald Queen Casino in Tacoma. Linford, in his pro debut, defeated Chris Varner by first-round TKO. 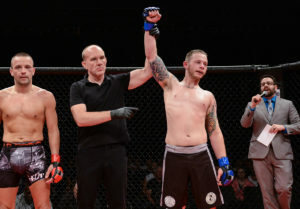 Approximately 30 minutes later, Sebastian was getting his arm raised after beating Armando Best by unanimous decision to score his first career triumph. Enhancing the experience was the fact that they were there to see each other win. 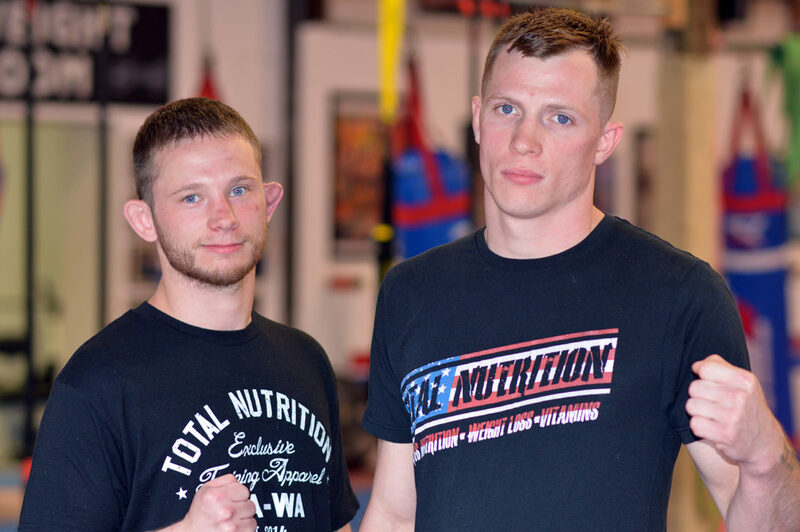 Despite having day jobs – Linford works as a service advisor at Mike’s Plum Street Automotive, while Sebastian recently started at the Lacey Costco after working as a carpenter – the two train for their MMA careers five or six times a week at the Academy of Brian Johnson. “The only relationship we have is with this,” Sebastian stated. But it’s a commitment that is starting to pay off for them. Up next will be an appearance on Dominate FC’s card at the Tacoma Dome Exhibition Hall on September 15. Linford will face Steven Pederson in a 135-pound contest, while Sebastian squares off against Byron Fernandus, Jr. in a clash of 155 pounders. “Seven and I have a great training relationship. We laugh and always have fun, but know when it’s time to buckle down and put in the work,” Sebastian said.